India Maxwell hasn't just moved across the countryshe's plummeted to the bottom rung of the social ladder. It's taken years to cover the mess of her home life with a veneer of popularity. Now she's living in one of Boston's wealthiest neighborhoods with her mom's fiancé and his daughter, Eloise. Thanks to her soon-to-be stepsister's clique of friends, including Eloise's gorgeous, arrogant boyfriend, Finn, India feels like the one thing she hoped never to be seen as again: trash. 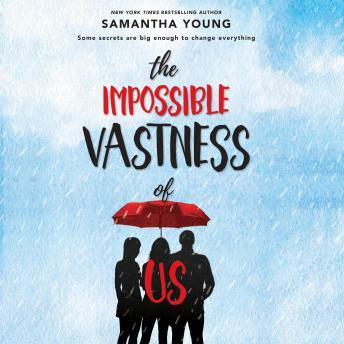 From New York Times bestselling author Samantha Young comes a story of friendship, identity and acceptance that will break your heartand make it whole again.